The Arcana collection is a tribute to the know-how of high-quality cabinetwork. 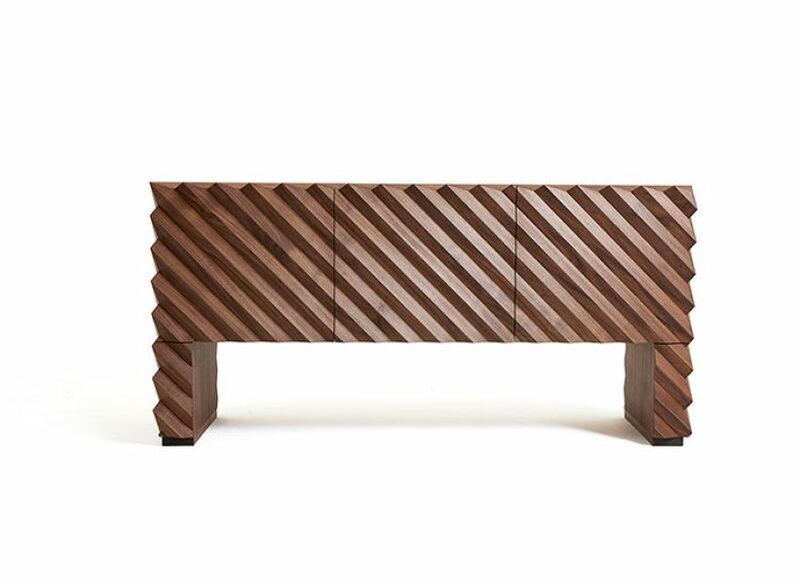 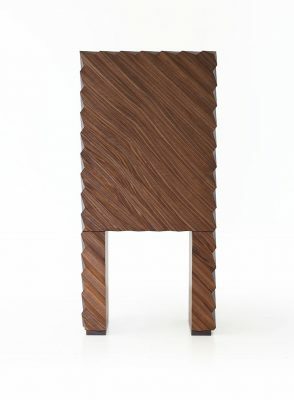 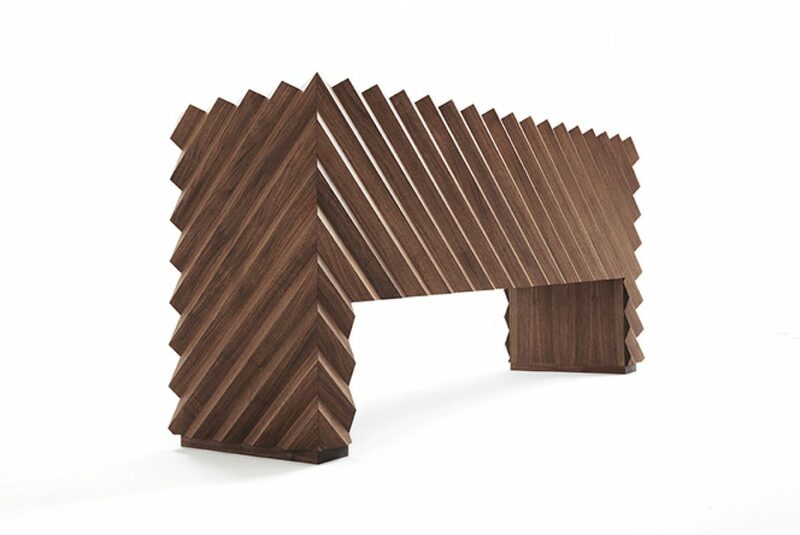 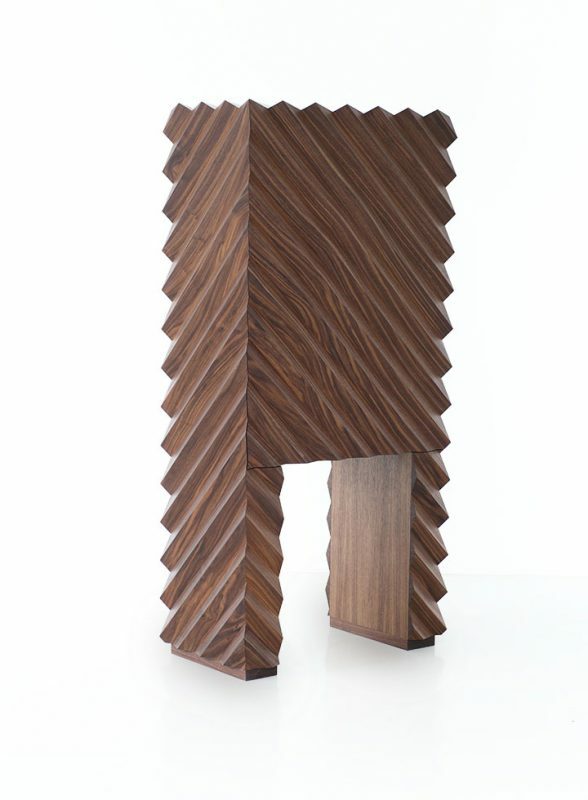 Inspired by the Wunderkammer concept, the outer surface of the monolithic walnut cabinet has a powerful angular relief pattern. 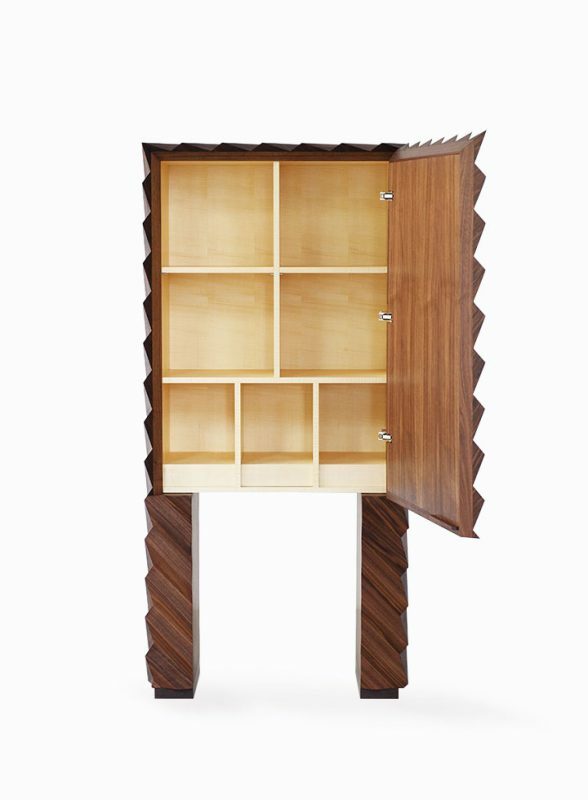 The inside conceals a secret interior in curly maple. 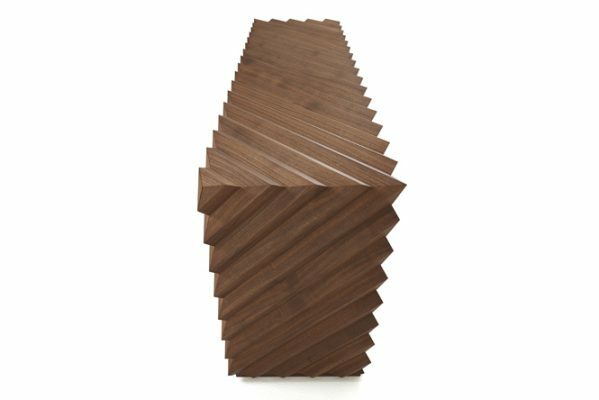 The Arcana series investigates the classic furniture model of the cabinet, using ordinary dimensions and conformations, yet introducing an unexpected sculptural dimension. 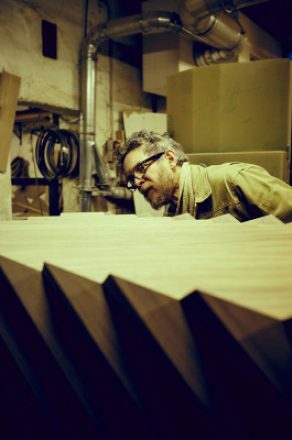 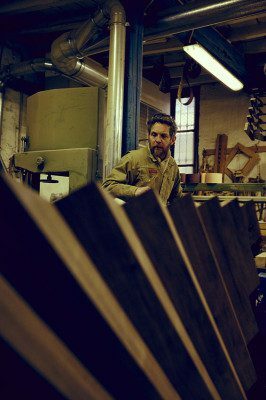 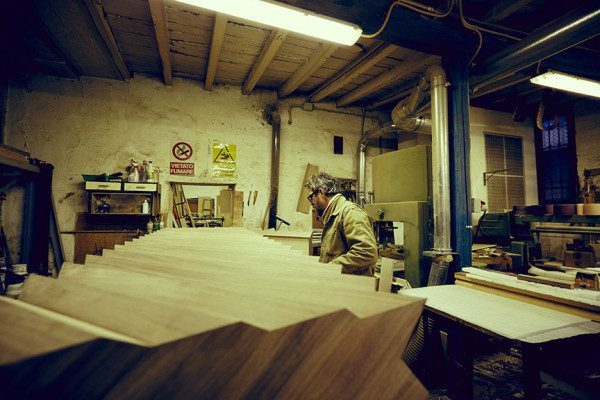 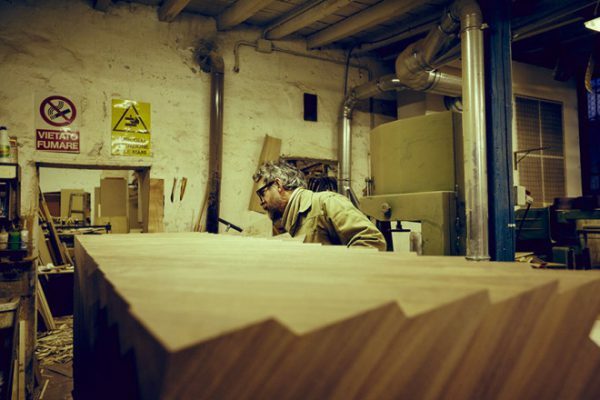 Produced in collaboration with the master cabinetmaker Anders Lunderskov.